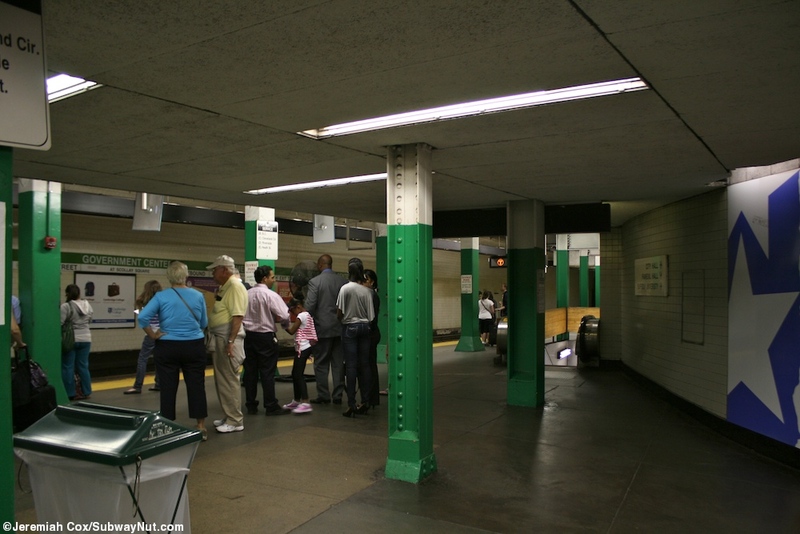 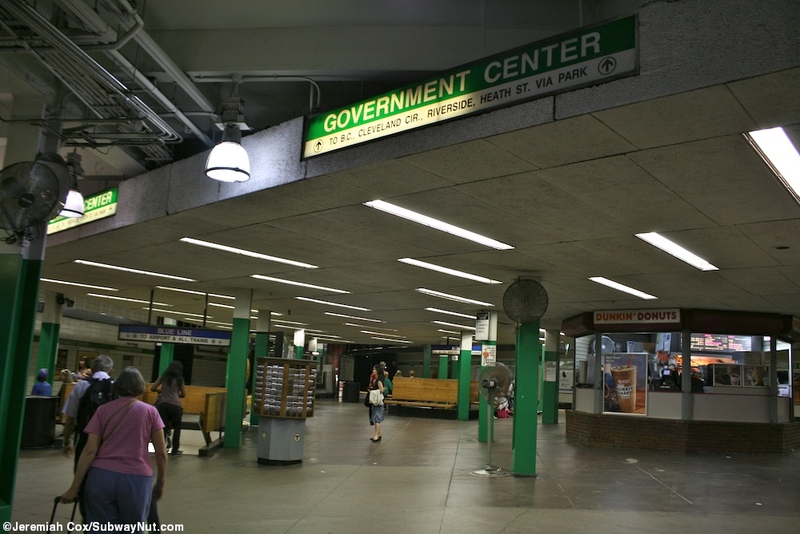 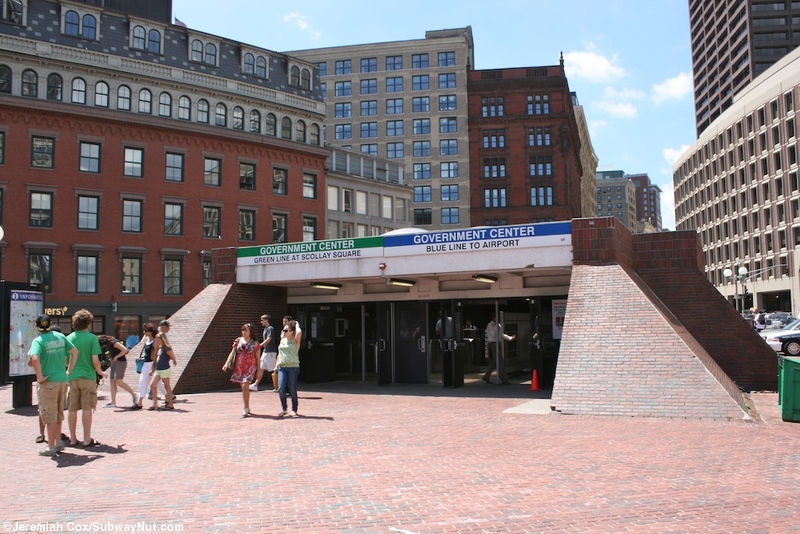 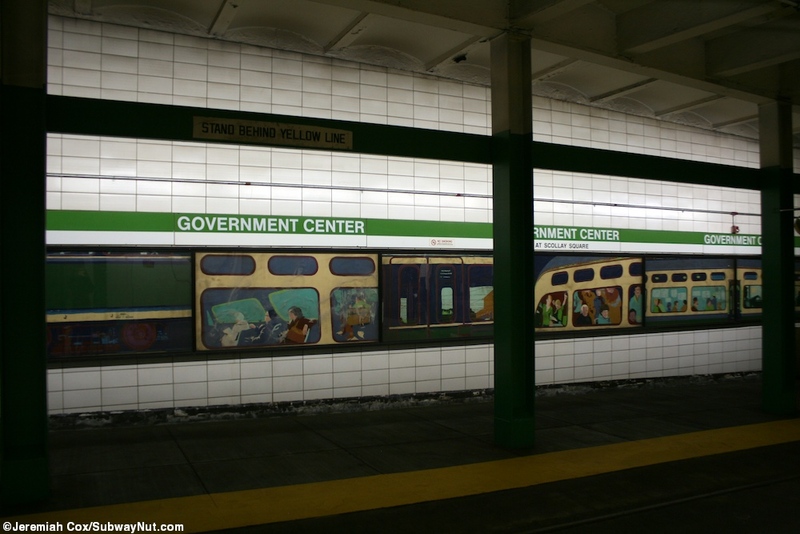 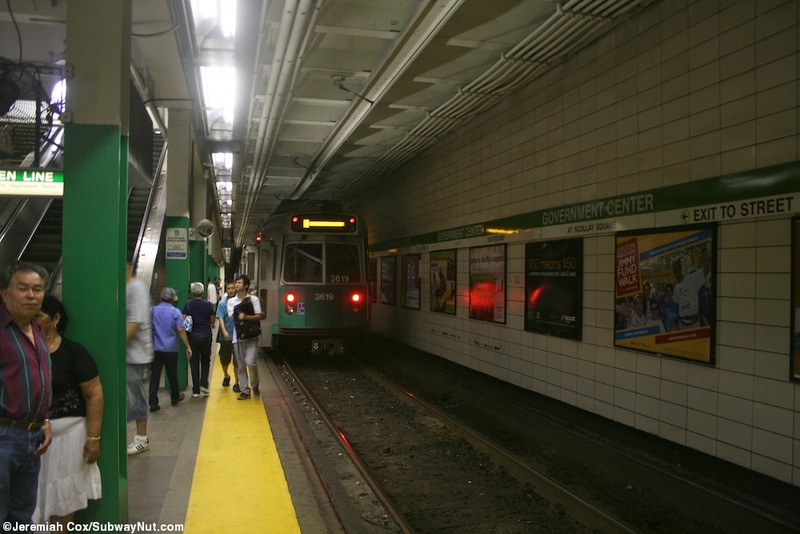 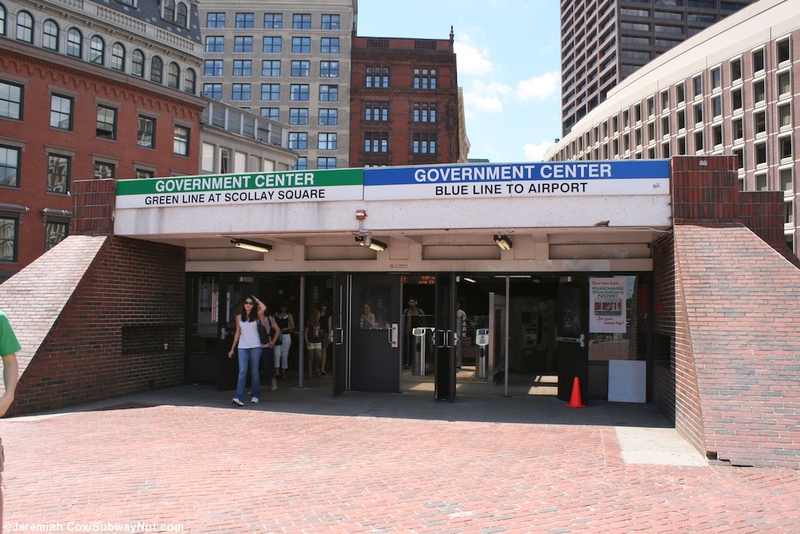 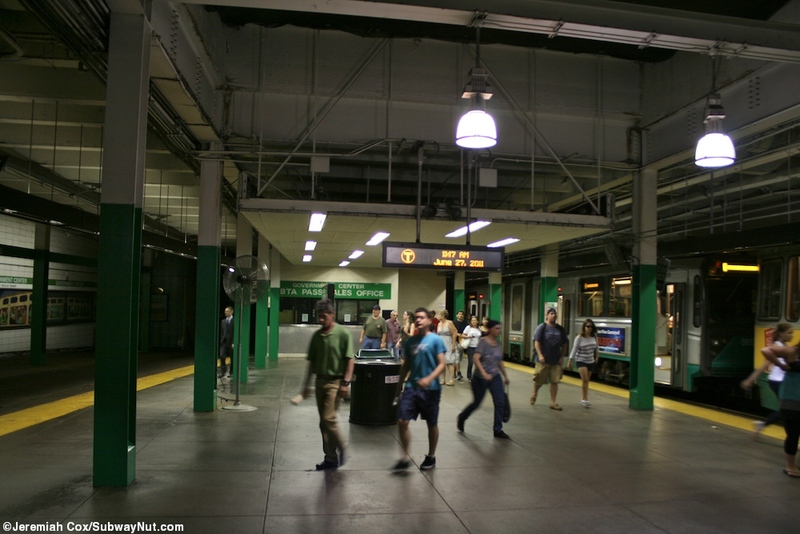 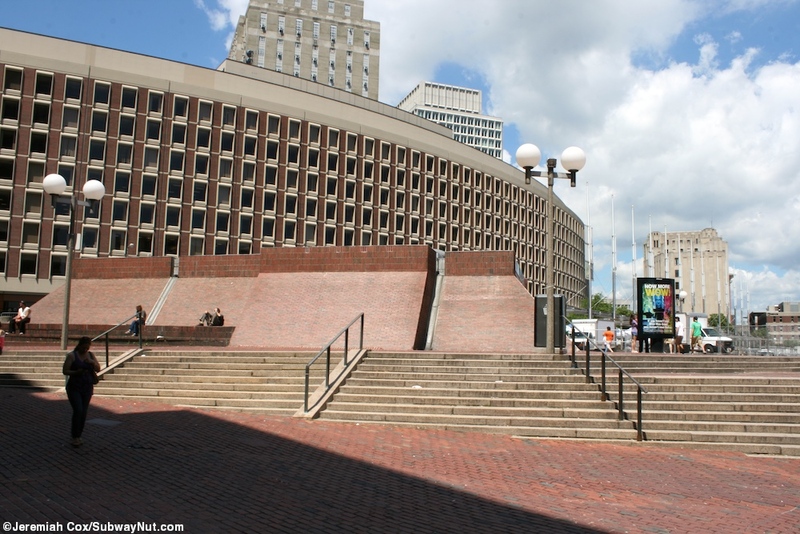 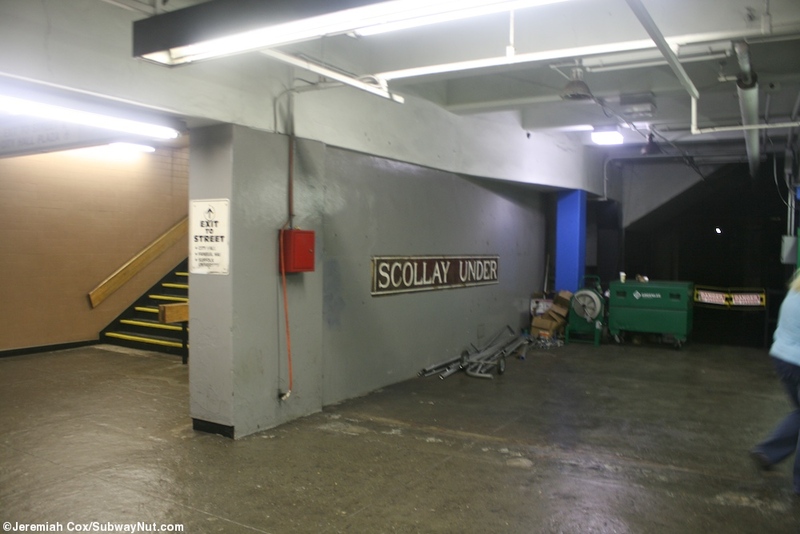 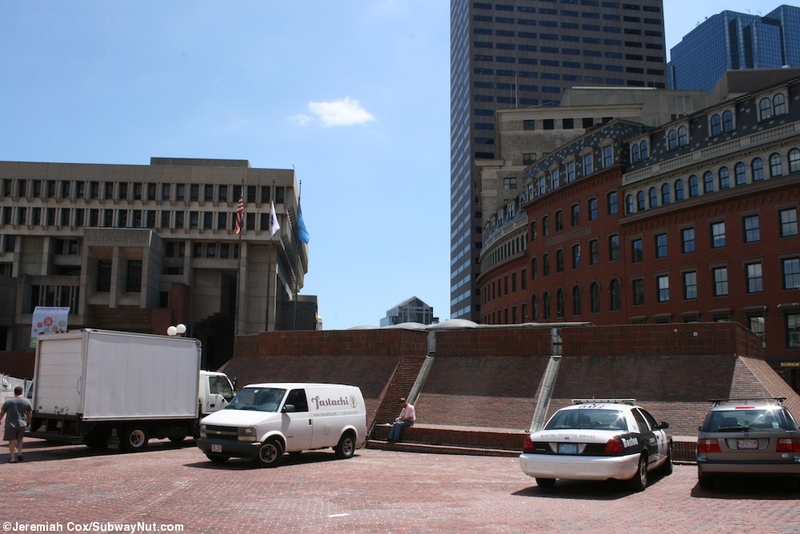 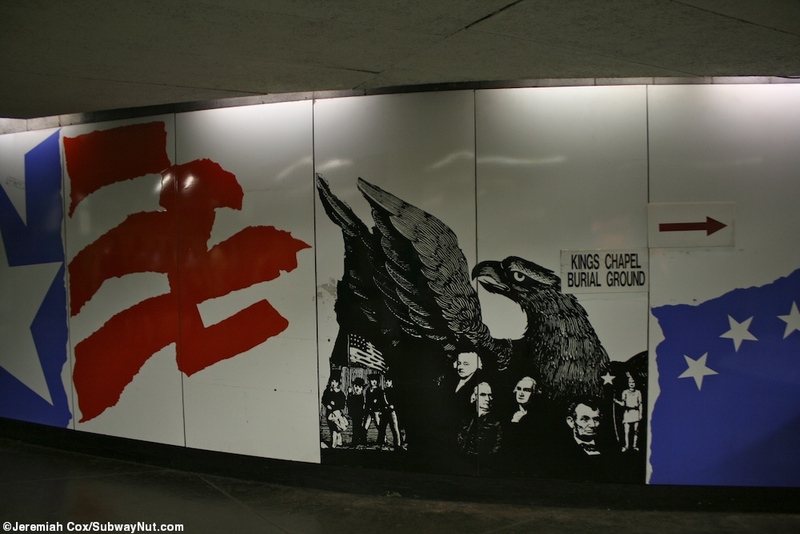 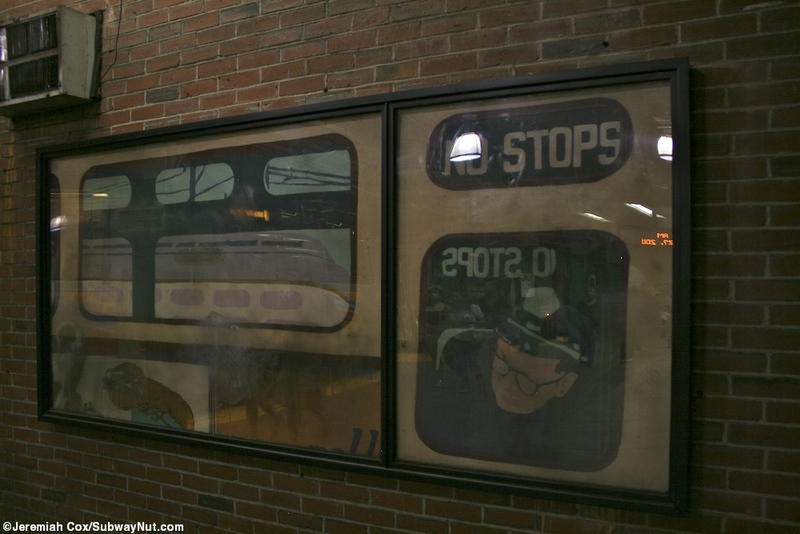 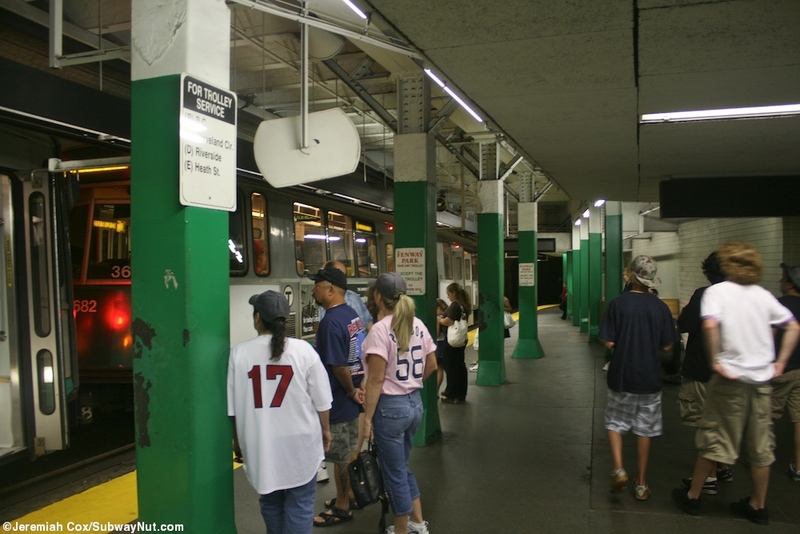 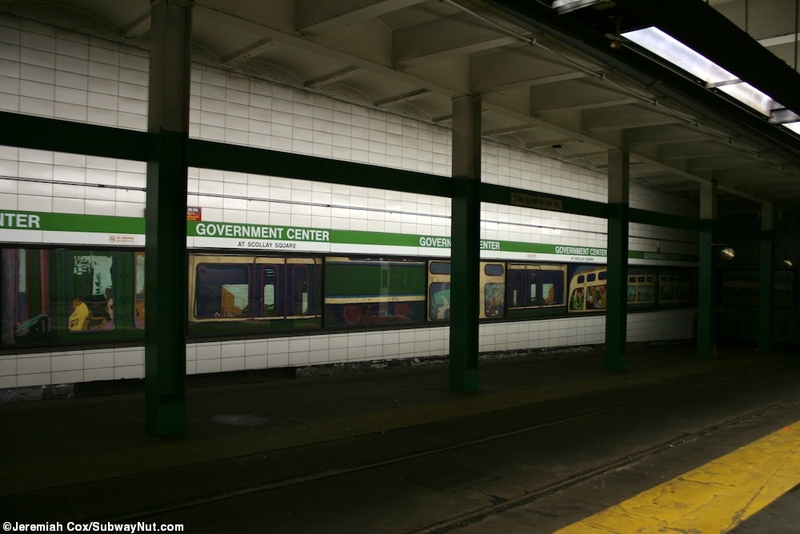 Government Center (at Scollay Square) is a shared Blue Line and Green Line station, accessed via a single station house that looks like it rises up from the brick plaza in front of City Hall. 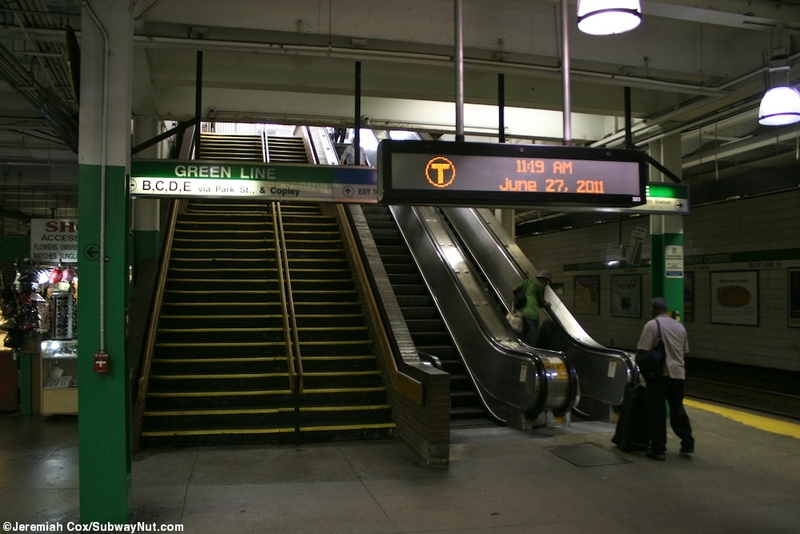 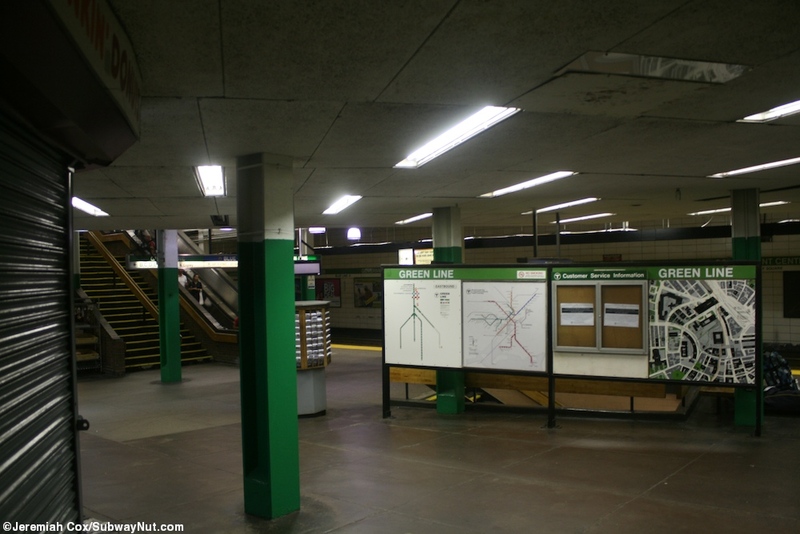 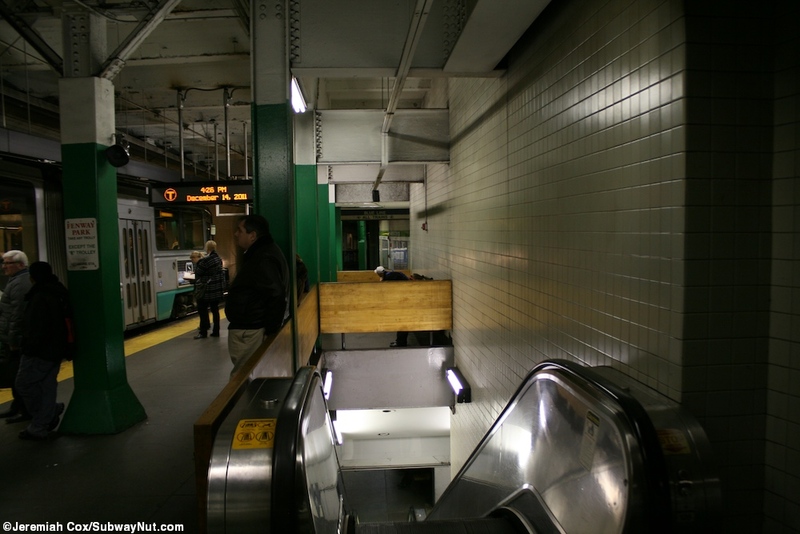 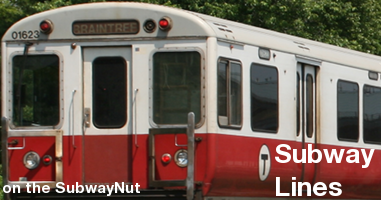 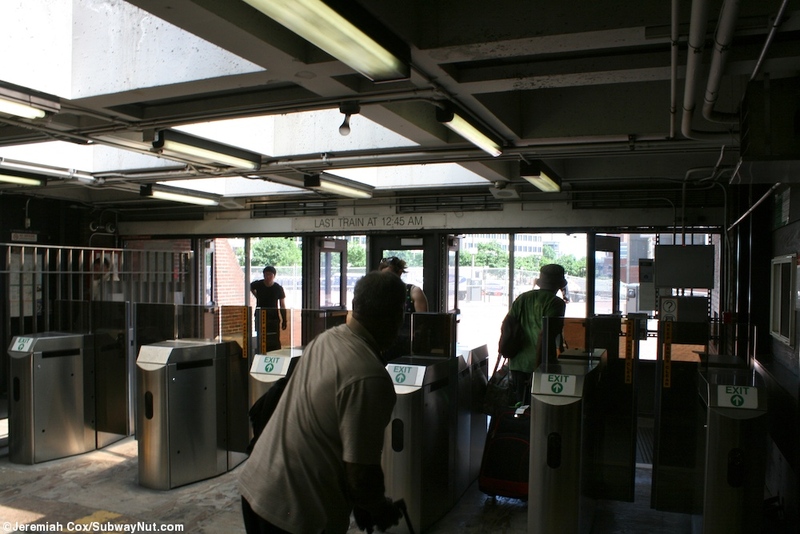 This has a single staircase/escalators down to the Green Lines strange single platform that has outside tracks for C and E trolleys that continue north to North Station and Leachmere while there is a single looping inside track for terminating and originating B-Boston College and D-Riverside branch trolleys within the station. 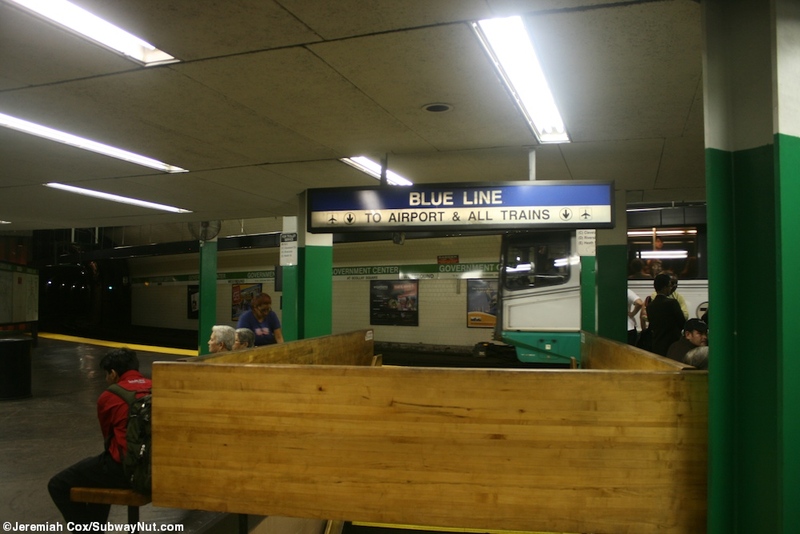 This platform is connected by a few staircases and an elevator to the simple island platform for the blue line's two subway tracks below, and the stop acts as the terminus when Bowdion is closed after 6:30pm weekdays and all day weekends. 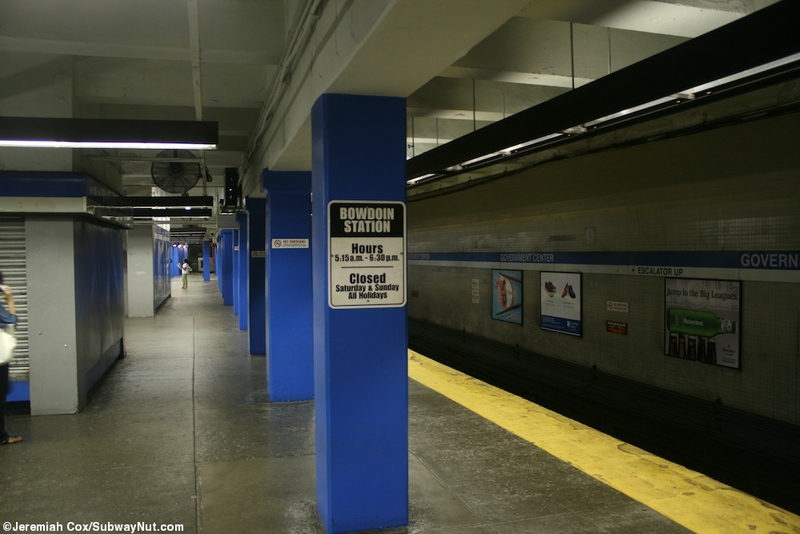 A temporary full closure of the station has been proposed for the installment of street elevators and an additional entrance that would bring station access much closer to Bowdion and close that stop.